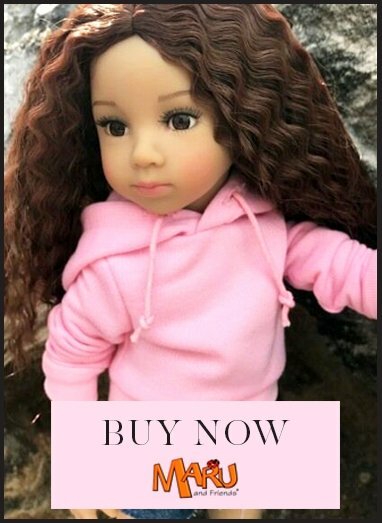 Blandita dolls made by Paola Reina are soft and cuddly in the middle with realistic vinyl limbs and a perfect doll for children age 3-5 years old. Paola Reina dolls have a pleasant slight vanilla scent. Blandita dolls size is 36cm and they're lightweight so easy to carry around. Their hair is rooted, thick and quite long which makes it wonderful for playing with, brushing and styling. They have closing eyes which younger children love. What parents love is that Paola Reina Blandita dolls are highly comparable with Ma Corolle dolls but so much better priced!